You’re engaged! Congrats! 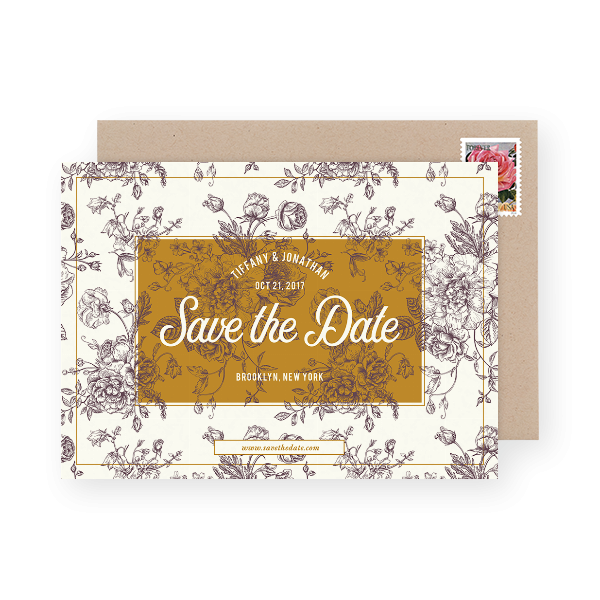 Planning a wedding can be both extremely exciting and extremely stressful. 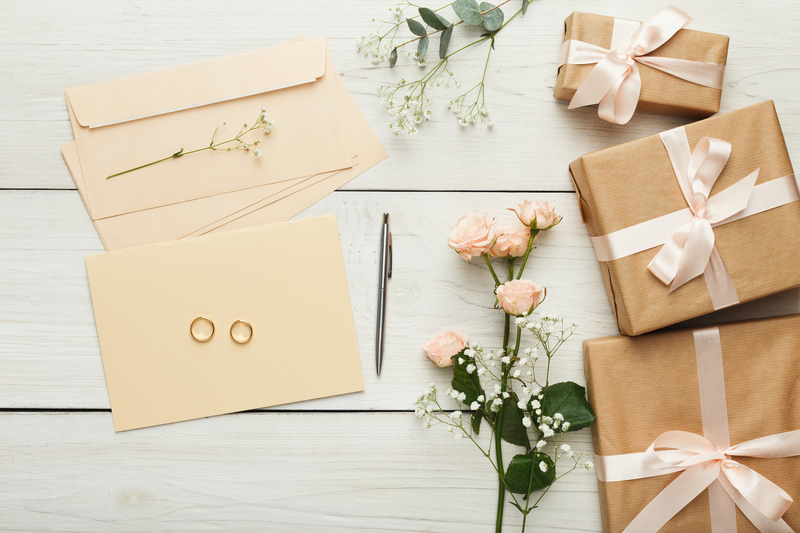 Hopefully your wedding planning experience has just kicked off and it’s going as smoothly as possible. 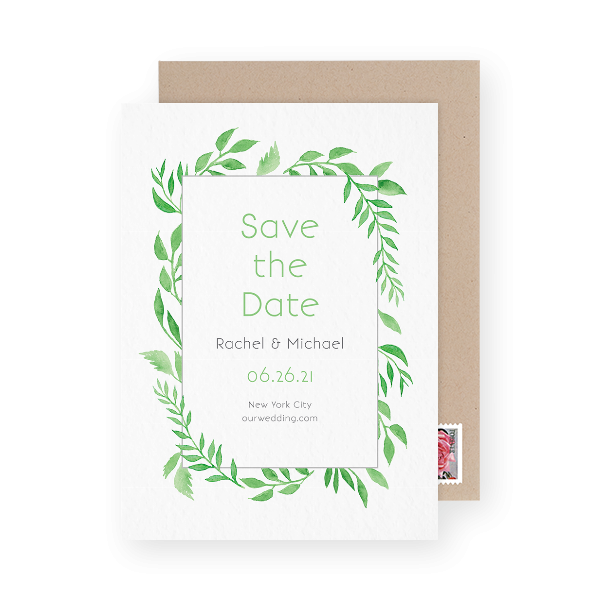 Before picking your wedding save the dates, it’s a good idea to first make some wedding decisions. 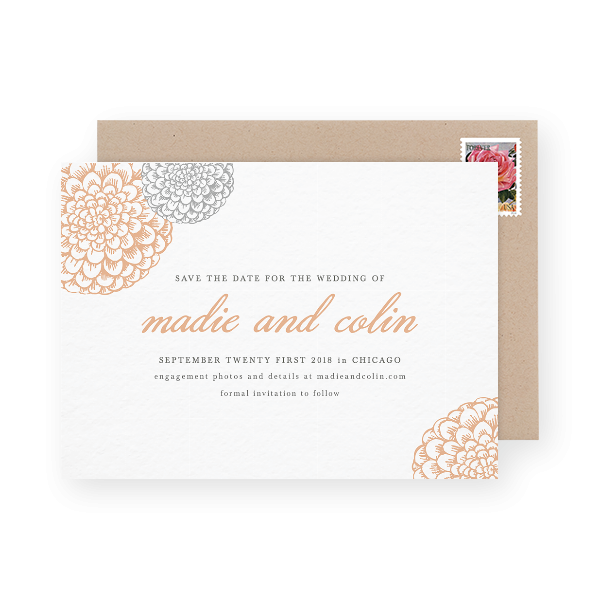 Things like the colors of your wedding, the theme and the city. Sharing at least the general location with your guests will give them a heads up making any necessary travel plans. 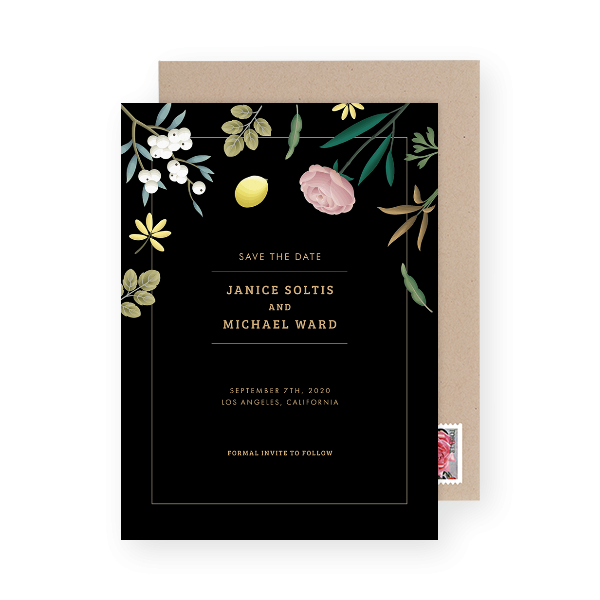 And of course the most important detail to nail down before sending out your save the dates — the actual wedding date. 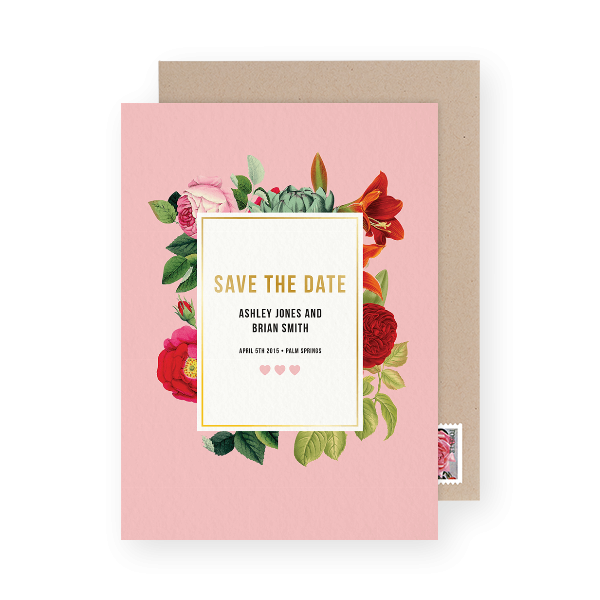 Once you have at least the major details down, it’s time to choose your wedding save the dates. 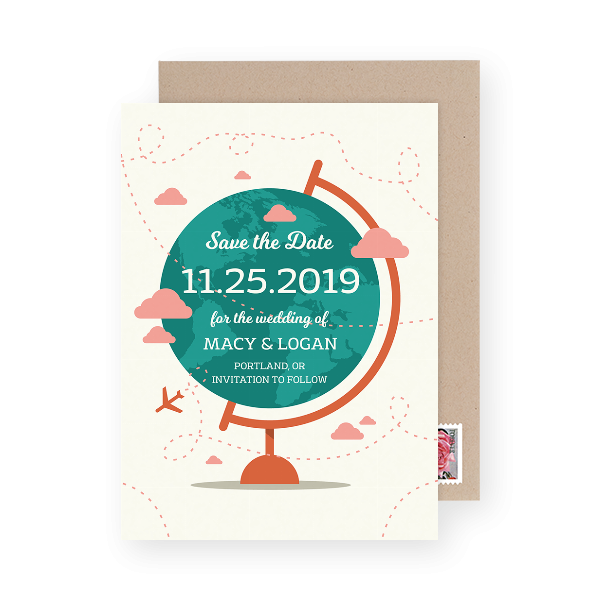 If you’ve been out there in the world of wedding save the dates, you’ve probably noticed that many are photo save the dates. And who says these must have a photo on the front? Nobody. 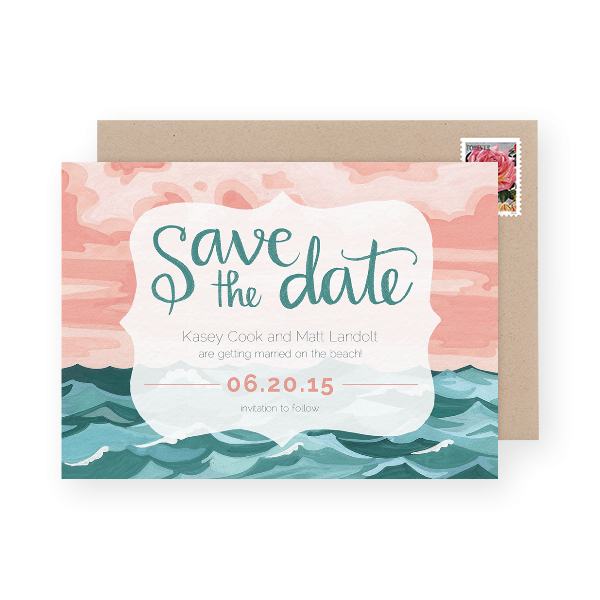 If you’re leaning towards sending out save the dates without photos then we say go for it! 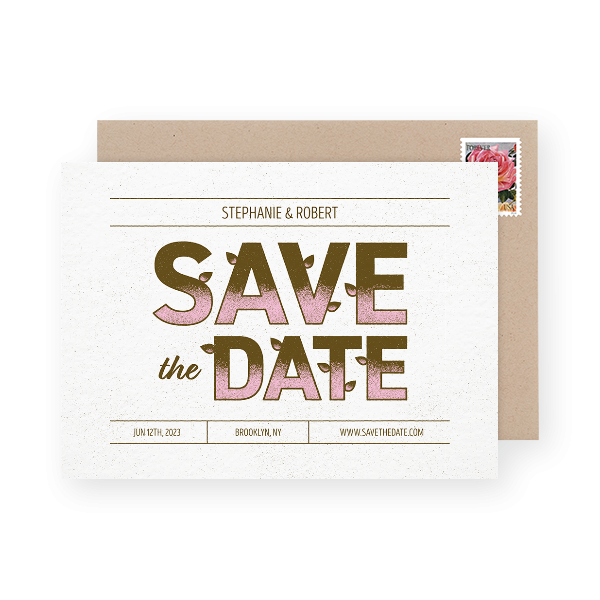 The save the date is a great way to introduce your wedding theme and feel to your guests and give them a heads up to start making plans. You don’t have to put any photos on them if you don’t want to. 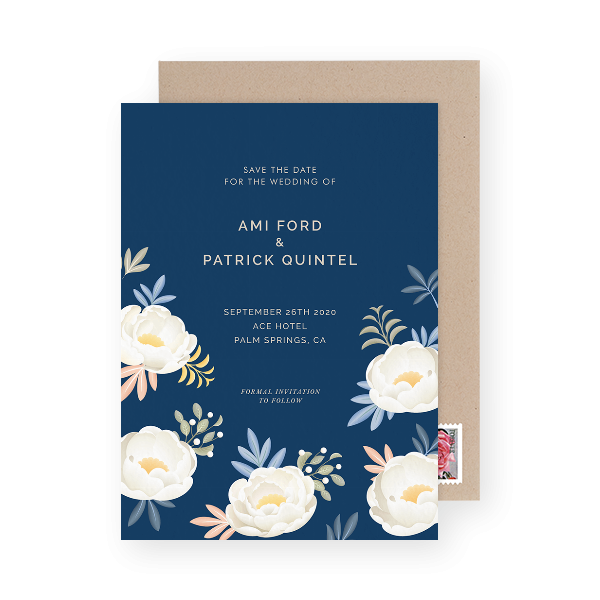 And with these beautiful designs, you’ll see why. 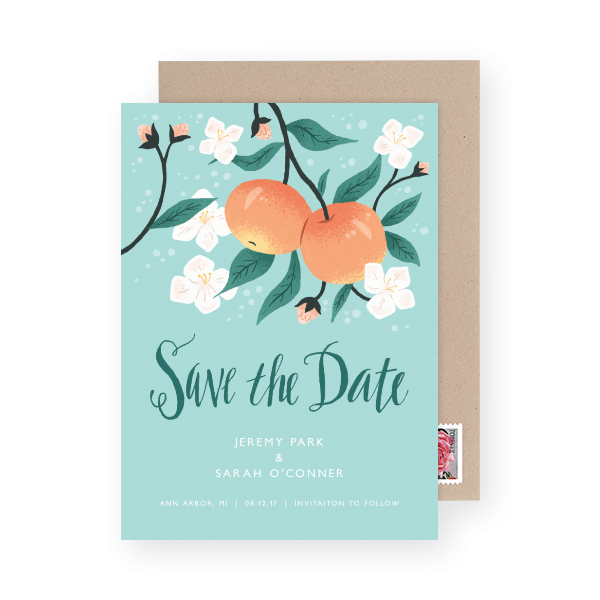 And if you’ve just taken some magical engagement photos and you’re still itching to show them off — you can always put them on the back! Win-win-win. Who’s ready to get married?! 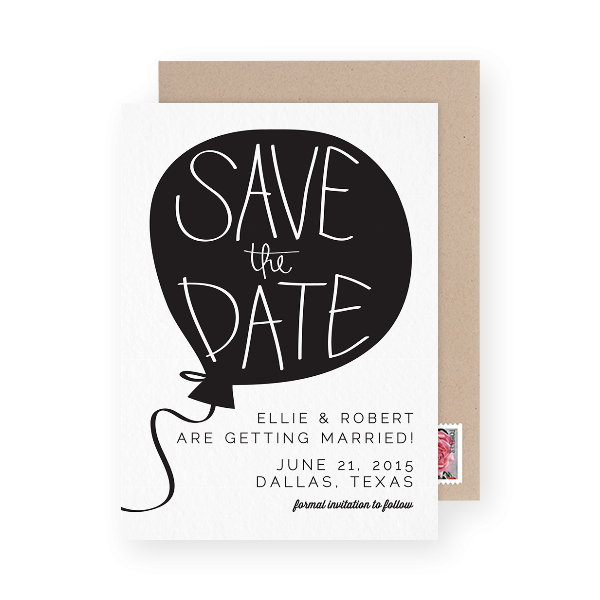 Ok… maybe not quite yet, but at least you’ve hopefully figured out your save the dates. Question is — which design will you send? 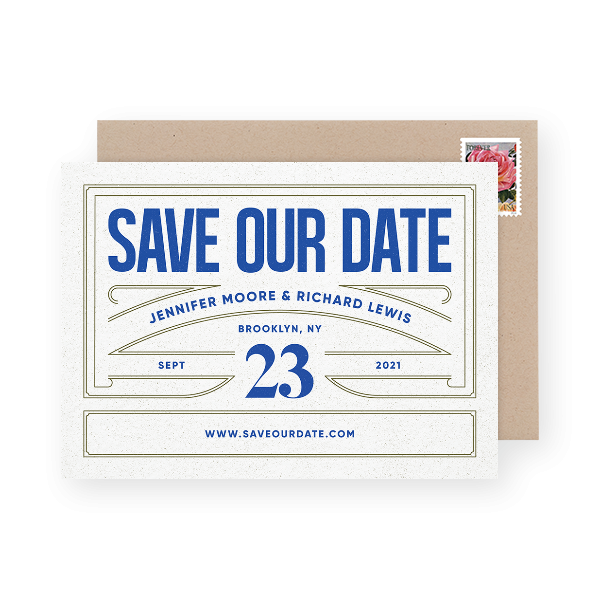 If you’re not seeing quite what you’re looking for — checkout all the save the date designs here.